Look, Disney can pretty much do whatever they want with their Disney+ streaming service and most of us are going to pony up the subscriber fee. They have virtually all of the major blockbuster franchises and plan to maximize content to maximize profit. What possible benefit is it to them to stay in partnership with Netflix or any other streaming provider at this point? We're seeing the full extent of Disney's powers now as Disney CEO Bob Iger has announced to investors that Captain Marvel, which opens in just a few weeks, to stream exclusively on Disney+. That means no Netflix, no nothin' for the superhero origin story. 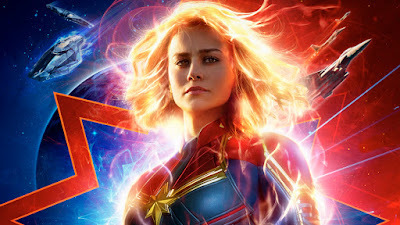 Instead, it will go straight to Disney+ once its theatrical run concludes, with Disney foregoing its usual $140M year over year licensing fee. This marks a significant investment in Disney+, which is to be expected for the game-changing platform. Iger noted that other major properties from Marvel, Star Wars, and Pixar are being worked on as Disney+ exclusives. I wouldn't be surprised if Disney makes a large chunk of their incoming Fox library exclusive, as well. And if they'll do this with Captain Marvel you can bet the same for Avengers: Endgame and Spider-Man: Far From Home. From there it's only a matter of time before you have one place to go to get a Disney fix.